What on Earth is happening to British politics? It used to be said that politics was “show business for ugly people”, but if reports of Simon Cowell’s latest wheeze are true, then maybe we aren’t too far away from the point at which politics simply becomes “show business”. 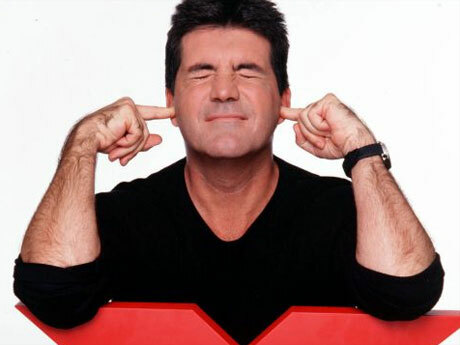 Cowell indulged in a brainstorming session during an interview with BBC Newsnight in which he basically came up with a format which involves an X-Factor-style TV show where ‘issues’ are discussed and viewers can cast their votes (presumably via a premium rate number). There would even be a red telephone on stage for Downing Street to phone through the government’s reaction to the show. As politics itself is unlikely to be a big enough draw to keep the advertising revenue up (and therefore maintain Cowell’s interest) you can expect a sprinkling of ITV Saturday night stardust to act as the glue to keep the millions stuck to their sofas. Am I alone in wondering where it all went wrong? 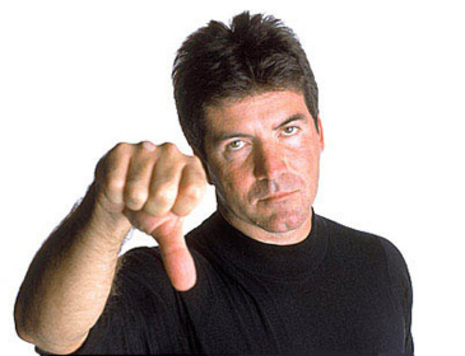 What caused politics in this country to go so badly awry that Simon Cowell is seriously considering serving up a dose of celebrity magic to put things right? We already have the grim spectacle (spectre?) of Esther Rantzen’s candidacy in Luton to look forward to next year, not to mention ‘chick-lit’ novelist Louise Bagshawe’s worrying descent on Corby & East Northants and, closer to home, former TV-AM sofa-warmer Caroline Righton’s accident-prone campaign for St Austell & Newquay. Do we really need a political X-Factor to add further celebrity glow to what ought to be a serious business? I recently did an interview with a journalism student, Lydia Smears, about growing voter apathy and what politicians and political parties should do about it. At the risk of sounding considerably older than I actually am, I found myself harking back to the post-Second World War General Elections as evidence that all the TV shows, text voting, supermarket polling stations and all the other ideas to invigorate democratic participation won’t make the blindest bit of difference. What’s missing from UK politics at the moment is a genuine debate about real policy differences. 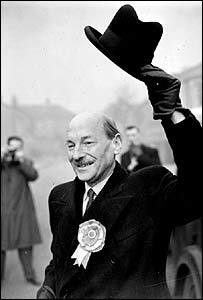 There was no such vacuum in 1950, for example, and (with a clear dividing line between the Atlee government’s nationalisation and welfare state agenda, and Churchill’s Tories’ almost total resistance to the post-war Labour government’s radical programme) voter turnout in that year’s election was 83.9% as opposed to a mere 59.4% in 2001. What do we have today? Bandwagon jumping, appearances on ‘This Morning’, media management, party leaders’ indulgence in celebrity culture – the list goes on. Modern politics is all about whose manager is least likely to ‘frighten the horses’, whose image chimes with the voters, who looks best on TV. This is what tempts politicians to pretend they’re interested in the X-Factor, or I’m A Celebrity Get Me Out Of Here or any of the other beacons of popular television culture, instead of trying to communicate with voters about such apparent fripperies as policy debates and the like. Sadly this becomes self-perpetuating for the politicians. The more they steer into the celebrity agenda the more they will have to, and what happens to policy then? I can’t pretend I have the answer. Maybe it’s too late for the genie to be stuffed back into the bottle but it is my desperate hope that politics doesn’t go down this route. Perhaps if our representatives were prepared to take a risk and talk to real voters about what it is they actually plan to do we might see a shift in this culture. The thought of Dermot O’Leary announcing the result of an ITV viewers’ vote on capital punishment is almost too much to bear.